The external 'A'-Sign has been specially developed for ease of use using our popular spring loaded Trappa Frame graphic holder. 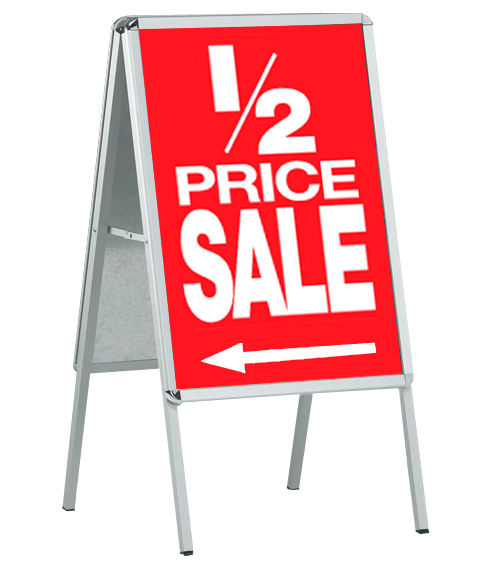 Great low cost advertising for events and promotions. 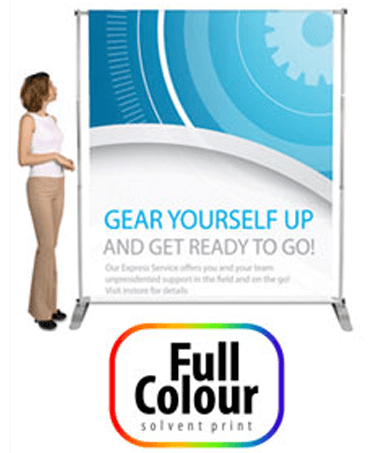 We can provide full colour banners in just about ANY size - from small PVC banners to huge mesh banners that can cover a building! 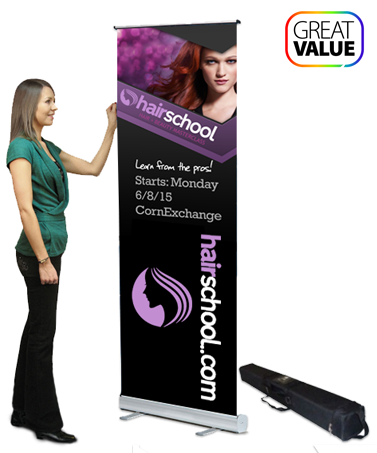 An economy roller banner with designer base and bungee pole making it very lightweight and compact. Complete with twist out foot for extra stability. • Low profile hook/loop fastening for quick build. • Twist out stabilising foot for extra stability. • Graphic and padded cary bag included. 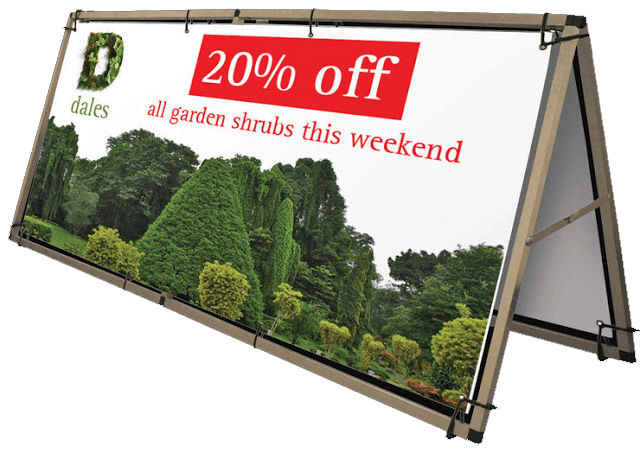 A double-sided roller banner with designer base and bungee pole making it very lightweight and compact. 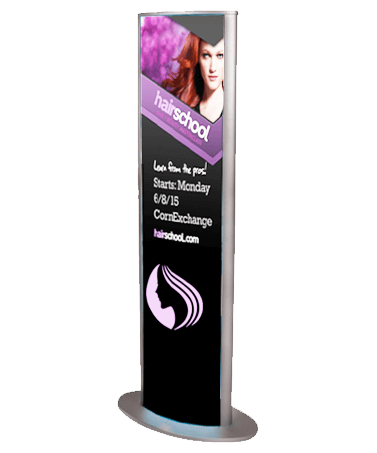 Excellent for use in public areas where passing trade is coming from multiple directions. • Funky shape with lighweight components. • Anodised silver finish to cassette. • Graphics (x2) and padded cary bag included. 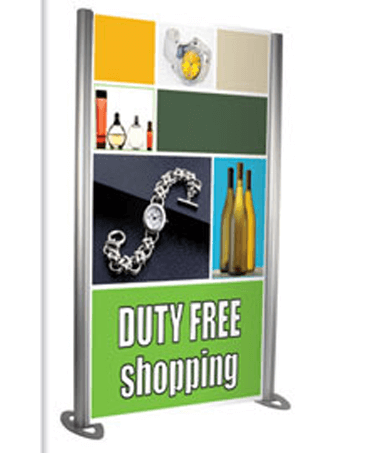 New to The Eley Classic Range, the Reflecta Lite is a free standing double sided light box. Elegant looks and ease of assembly make the Reflecta Lite idea for Retail or Display applications. • Internally illuminated light box. • Flat packs for transit and storage. 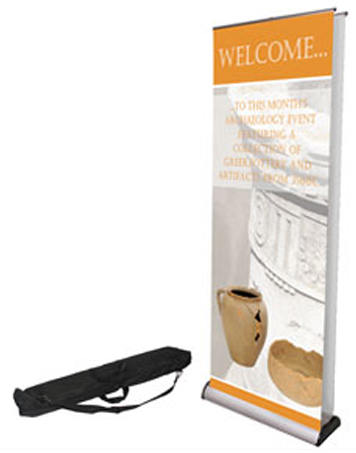 The Eley Classic Tension Banner is the largest tension banner in our range, ideal for exhibition environments. Another addition of the Eley Classic Range this linear system consists of a unique range of aluminium frame profiles, components and accessories designed to offer the most cost effective, flexible display solutions in the market. 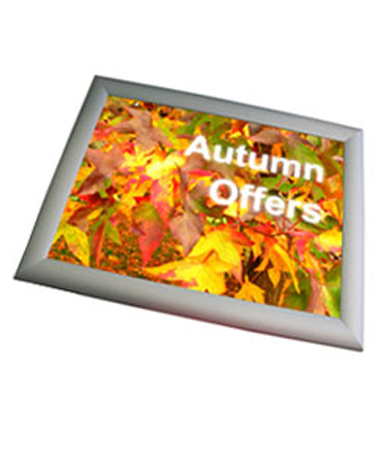 The linear system consists of a unique range of aluminium frame profiles, components and accessories designed to offer the most cost effective, flexible display solutions in the market. 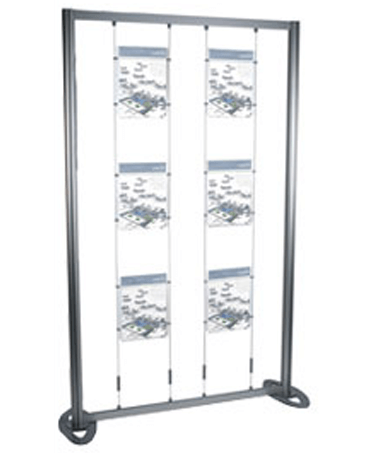 This example shows a graphic display area of 1000mm (wide) x 2000mm (high) with 6 A4 holders that are attached to wires which are fitted to the top and bottom of the system. 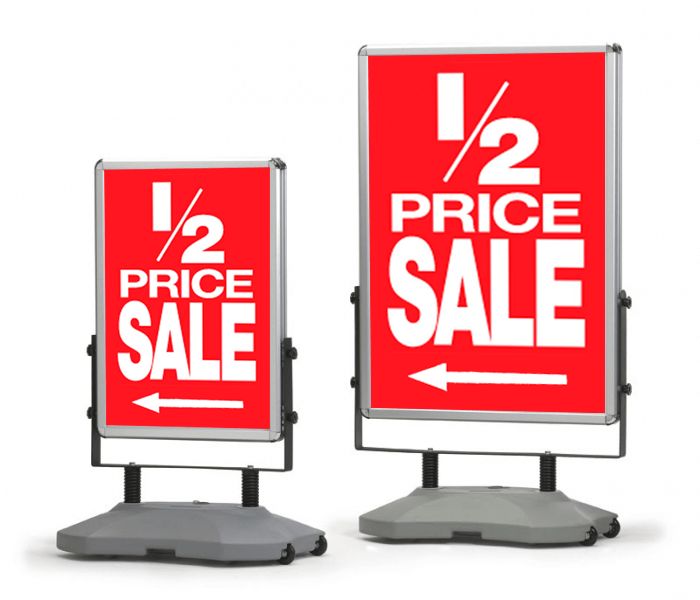 Holders, wires, fixings and graphics are all included in the cost. 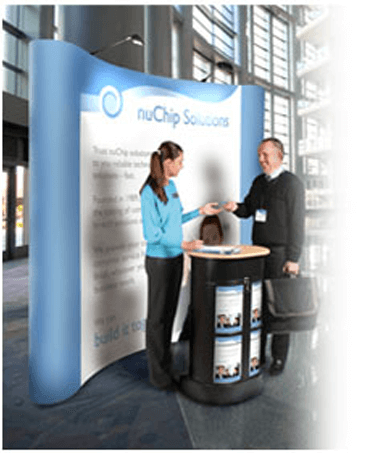 This classic POP-UP is fast and easy to set up and adds height impact to any presentation or exhibition stand. • All graphics included in the kit. • Extras including lights and carry. • case to table conversion avaliable. This is the ideal way to display literature. High tech styling with A5, A4 and A3 capacity shelving. 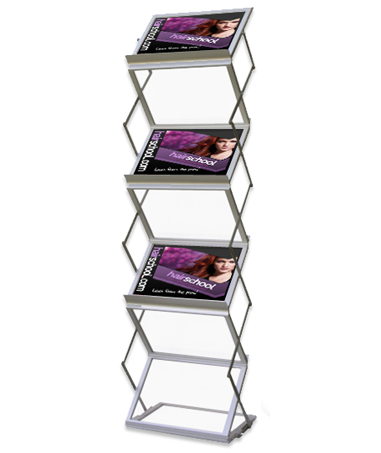 • 6 Double-sided acrylic shelves. • Fully collapsaible for easy transportation. • Available in anodised silver.